Darren was an associate at DAC Beachcroft and managed its Disease Unit in Leeds alongside Gary Brankin. Between 2010 and 2014, the Disease Unit grew from six litigation fee earners, to 10 litigation fee earners and 30 claims handling staff. Darren is an expert in NIHL claims and has a special interest in all aspects of medical causation in claims of this nature. He is particularly interested in claims of higher/lower frequency losses and those which involve exposure from non-traditional sources. Darren has developed IT tools which helped to deliver the lowest average case cost, lowest total claimants costs paid and the highest number of nil settlements, together with the highest repudiation rate of 77% across a portfolio of over 22,000 NIHL claims. 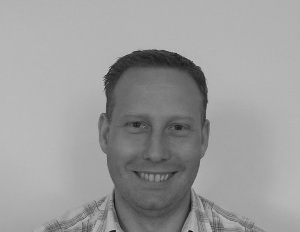 Darren is also very experienced in a wide variety of disease claims, including HAVS, dermatitis, occupational asthma and WRULD. Darren has managed a mixed portfolio of disease claims for major corporations. For one major organisation, Darren took the lead on a risk management programme for its NIHL portfolio, assessing and managing the potential for future claims. Darren has given training and presentations to many major insurers and corporations across several disease types, but the recent focus of his presentations has been on the changing NIHL market.